Home > Catalog > Board games > Other board games > Board games > Ahoy Treasures! The notorious pirate gang has pillaged a treasure chart, so there are five treasure chests hidden on Buccaneer Island. At once a turbulent race starts speeding towards the treasure island. 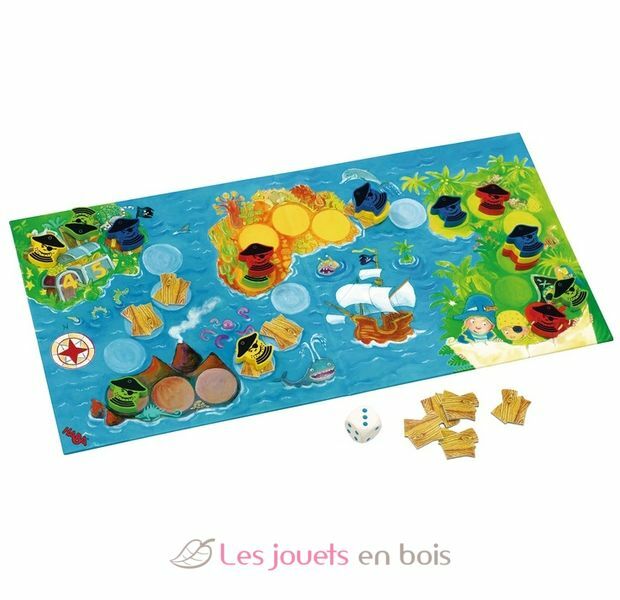 Contents: 1 game board, 16 pirates (in four colors), 9 wooden boards, 1 pirate die, 1 set of game instructions. 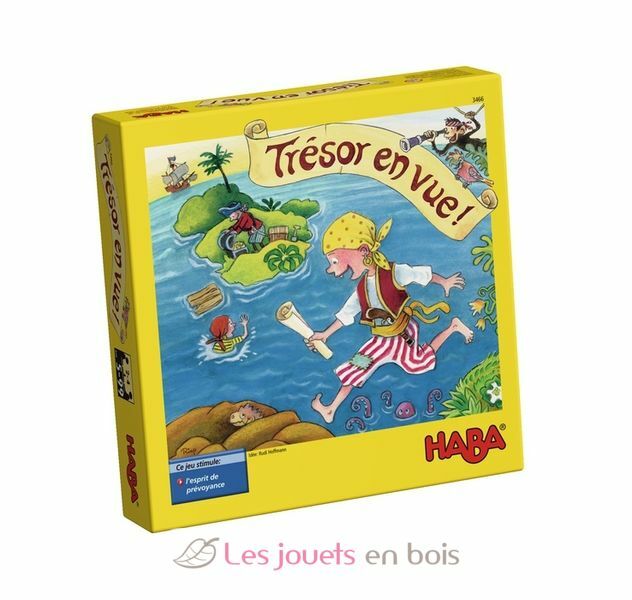 Ahoy Treasures, a game made by Haba, item number 3466. By Golly, a Whistling Pig!